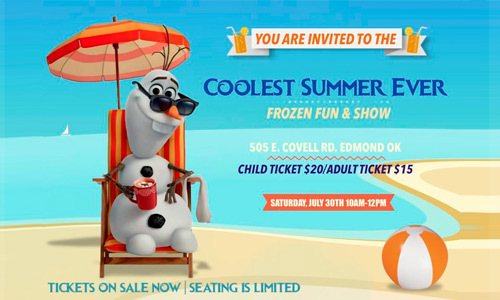 Saturday, July 30th - 10:00am-12:00pmCool off with Elsa, Anna, Kristoff & Olaf for some Frozen Summer Fun! Guest will be treated to a delightful, interactive, and song filled show, with live performances: including a glimpse of Elsa's ice powers! Imitation is the sincerest form of flattery and that is why Forever After is setting the standard in Character Performance & Event Planning, that so many companies strive to achieve. Often imitated, but never duplicated. Forever After is unrivaled in performance! Choose the best for your next party or event. Choose Forever After. Character performers at Forever After go through a rigorous audition process to ensure that each Character conforms to the highest possible standard. It is our policy that our Performers are always in Character, from the moment they appear until the moment they exit the public eye. We are the most reputable & respected Character Company in the state, and have been making dreams come true since 2011. Boasting a reputation of over 1000+ events; we have the seasoning to provide an unforgettable experience. You don't have to worry about dime store costumes with us! Our costumes are hand crafted, and fashioned to guarantee a realistic and stunning representation of the Characters costume. Our seamstresses & wig mistresses make sure our Characters are always polished and ready to enchant at your next event. Reliable & honest service: we guarantee the security of our parties. We will not cancel on you! Rain, sleet, snow, or illness, we will not miss your party. We are so confident in our word, we will PAY for your party if we fail to come. Agreement is subject to terms & conditions. Your event is safe & secure with Forever After. No more stress or worry, let us take care of everything. Every party comes with one of our highly trained Party Helpers. While your Character dazzles your guest, your Helper will assist with cleaning, serving cake, refreshments, wrangling children, & keeping your party a carefree one. No muss or fuss, let us tend to that. This was by far the best birthday my daughter has ever had. Momma, I love my princess party. Can Princess Belle come over again soon? It was a smooth process from booking until after the party ended. They were so gracious and they allowed the adults to really enjoy the party. Imagine the excitement as your child’s favorite Character surprises them on their special day! From the moment your Character & Party Helper come on the scene, your experience is all inclusive.